For most people the purchase of a home is the biggest investment they will ever make. If you find yourself regretting your choice of a home it impacts more than your wallet. Beyond the money, your home should be your sanctuary, your safe place, your escape. If, 4 weeks after you buy it, you discover your new home has a mold problem, or if the toilet in the upstairs bathroom drops though the dining room ceiling because a slow water leak weakened the floor, you're going to end up with some regret. These kinds of nasty surprises may be avoided if a thorough home inspection is done before you buy. Not every home catastrophe can be predicted. But, a home inspection performed by a certified and experienced inspector can often tip you off to the potential for these kinds of nightmares. "But, It's a Brand New House, and I have a Warranty"
The age of the house does not matter. Even a new home will have imperfections. As homes become more complex the chances that something will be missed during construction also increases. Even the best contractors and tradesmen are not infallible. It is highly recommend that a whole house warranty be included in any real estate deal, regardless of the age of the home. But, a warranty does not prevent problems. A warranty may help pay for repairs but it won't prevent the inconvenience and disappointment of damage or failure to your home. "I've got to cut expenses somewhere"
There are numerous additional 'out-of-pocket' costs associated with purchasing a home. But, when considering ways to economize, investing a home inspection can be one of the biggest cash savers. 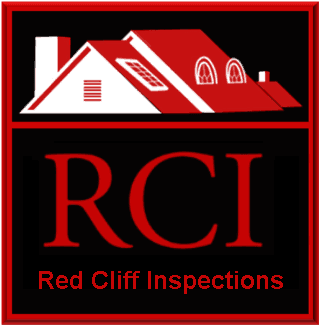 A home inspector will often find items requiring repair that equal much more than the cost of the inspection. Costs which will become the responsibility of the buyer if issues are not identified before the sale. And, in some cases, a home that looks reasonably good on the surface will hide conditions that make it unsafe and unlivable. The sellers disclosure may not tell you everything you need to know. Sellers are not always aware of problems hiding in the home. If the seller isn't aware of the issue, it won't show up in the sellers disclosure. A home inspection is likely to find those issues that are not know by the seller and prevent them from becoming the buyers expensive surprise. "I will just check the place out really well on my own"
They buyer (or a friend or family member) may have a background and experience that provides an understanding the inner workings of a home. This may tactic may provide some information that may be helpful. However, the advantage of using a qualified home inspector is that it provides an impartial eye that will systematically survey the whole home. A good inspector will have done this numerous times and some inspectors are able to employ equipment, such as infrared, that can see more than human eyes alone. The home inspector will then formulate and deliver a report of their findings. Their comprehensive inspection and detailed report that can act as the basis for informed decisions and actions. No one can predict the future with complete accuracy - No can really know with absolute certainty that any investment will always work out perfectly. When making a decision about purchasing a particular home it should be done with the best information available. A fair appraisal of a homes perceived value, an understanding of the financing package, and an inspection provided by a certified professional home inspector are critical pieces of this needed information. And, the home inspection is the most likely item the buyer can be used to help prevent home buyer's remorse.